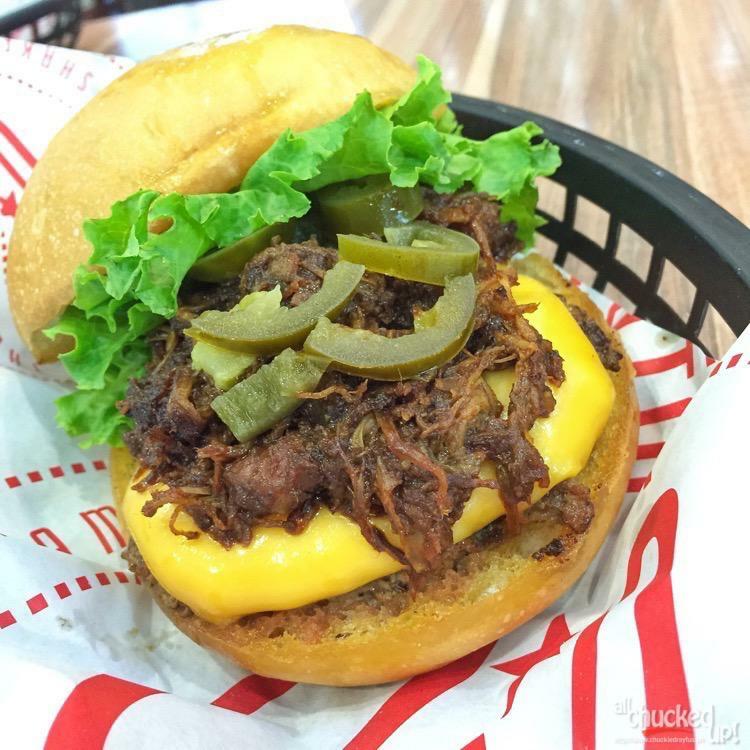 The Burger Joint at SM Supercenter Pasig: Must visit - All Chucked Up! 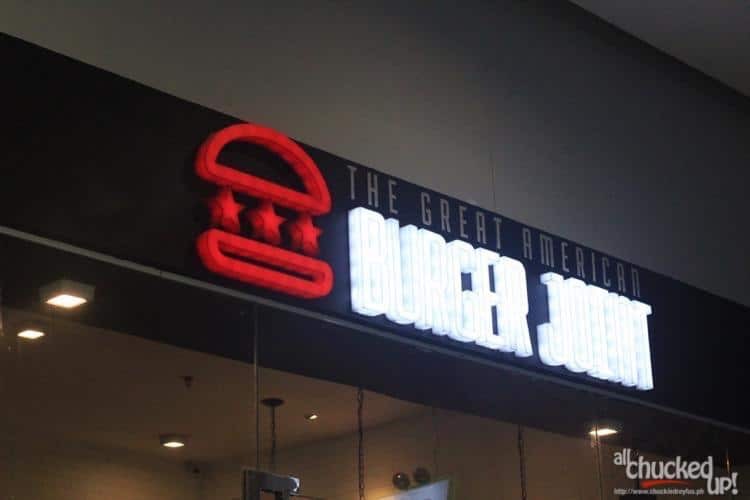 According to the owners of The Burger Joint at SM Supercenter Pasig, since travel is a major part of their lifestyle, they wanted their burgers to incorporate the various distinct flavors that span the East Coast to the West. The intention is to give each dish its own unique personality. 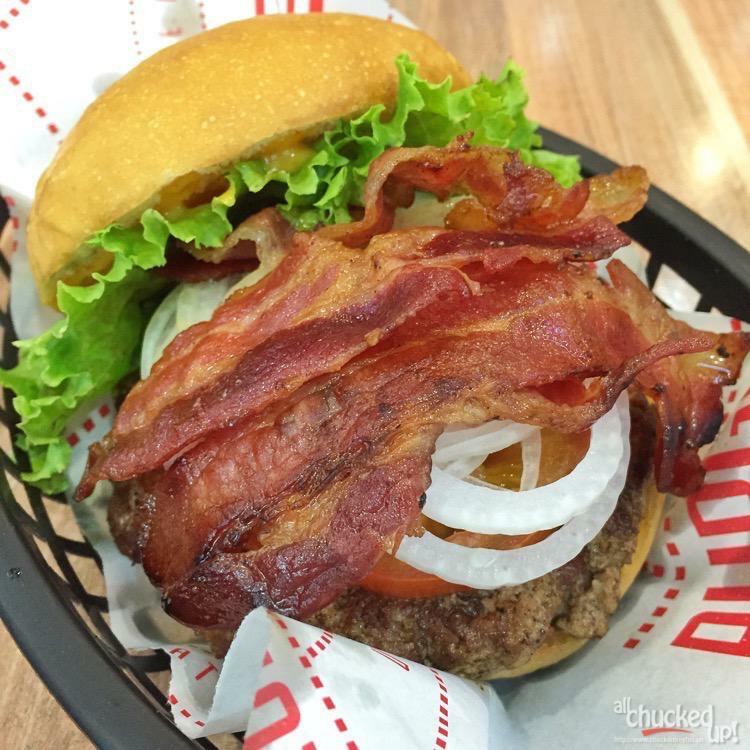 What makes The Burger Joint at SM Supercenter Pasig different? There are many reasons why The Burger Joint at SM Supercenter Pasig is significantly different (and better) than other similar establishments. 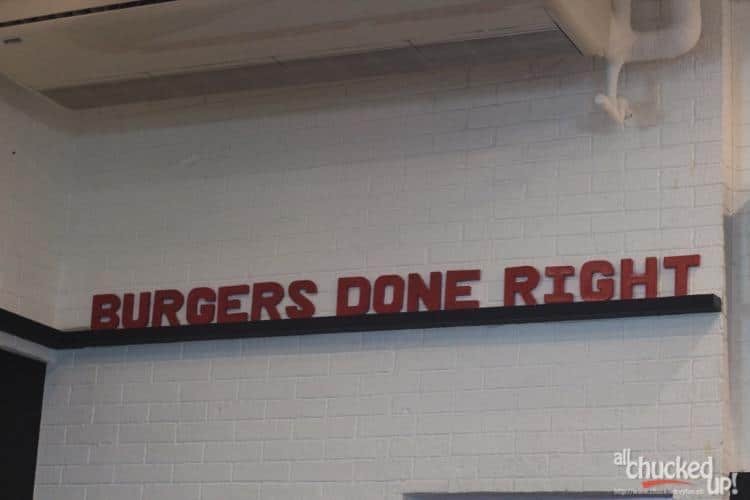 Their burgers are made “on-site” every single day. They use ALL-BEEF burger patties that consist of 1/2 sirloin and 1/2 chuck. The Burger Joint proudly makes their very own brioche buns on a daily basis. Sauces are made in-house as well. Absolutely no extenders are used for every dish. All their burgers are prepared using the “smash” technique which doesn’t just make the meat taste good, it actually makes the beef patty taste more meaty. Apart from that, “smashing” maximizes browning of the beef and gives it a delightful crusty texture while retaining all its flavorful juices. Allow me to briefly show you a few of the specialties we enjoyed at The Burger Joint at SM Supercenter Pasig during our visit. 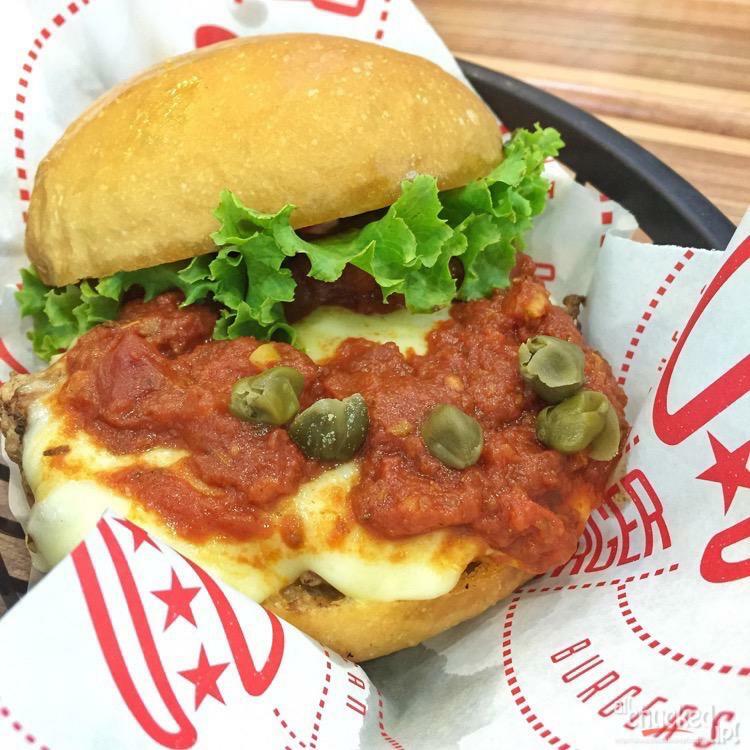 This is an “Italian Style” burger complete with lettuce, capers, marinara sauce and chewy mozzarella cheese. Yum! Yes, folks… pulled pork plus chili con carne in a burger. It’s really good! This burger also has some sweet BBQ sauce, cheese and bacon. A must try when you visit The Burger Joint at SM Supercenter Pasig. 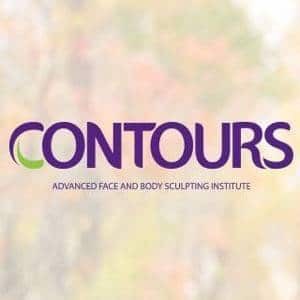 A sure hit for anyone who tries it out. 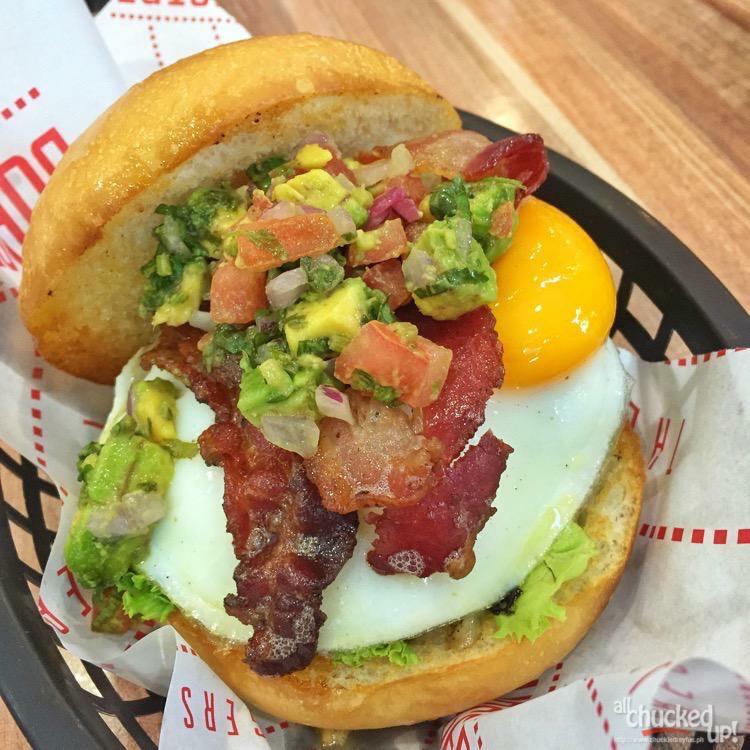 Imagine a festival of flavors all in one amazing burger – bacon, guacamole, pepper jack and fried egg! It’s crazy! It gets kinda messy when you eat it but, hey… messy is good, right? I absolutely fell in love with this burger. It’s got lettuce, tomato, onions, pickles, melted cheese, their very own house sauce and a good amount of crunchy flavorful bacon! 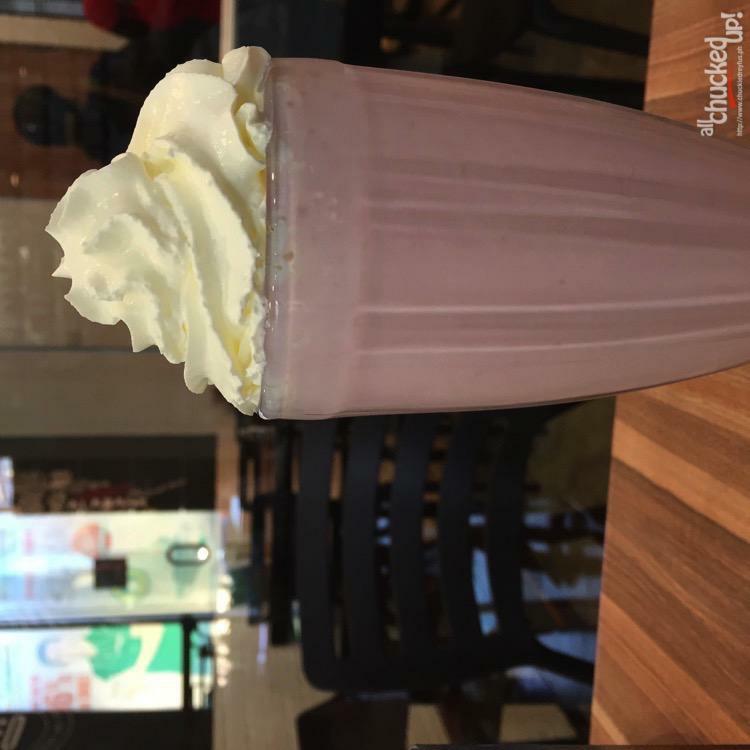 Go ahead… give in to your craving. Who says The Burger Joint at SM Supercenter Pasig only serves burgers? No siree! 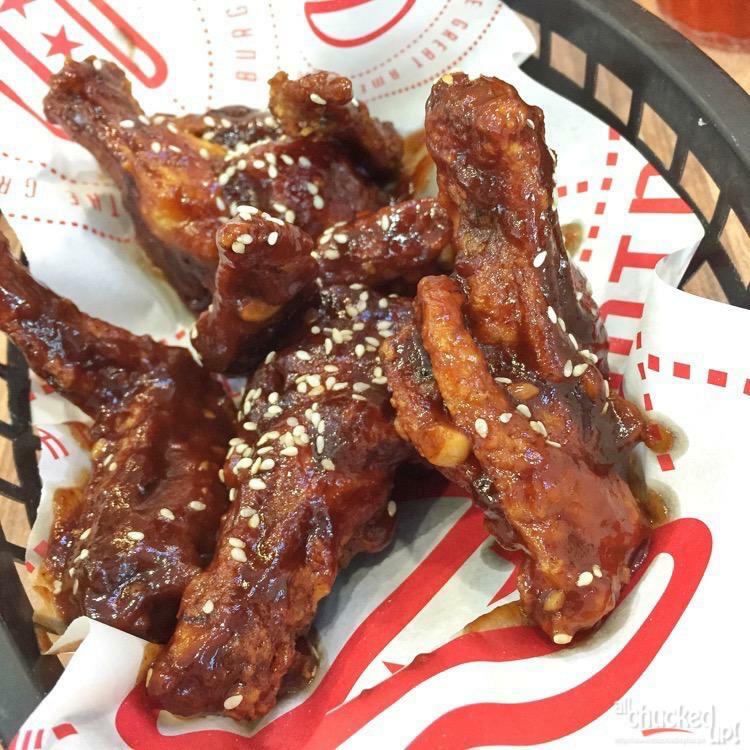 They serve awesome chicken wing specialties as well, just like this BBQ Sesame. Chicken wings coated in smoky sweet sauce and topped with sesame seeds. 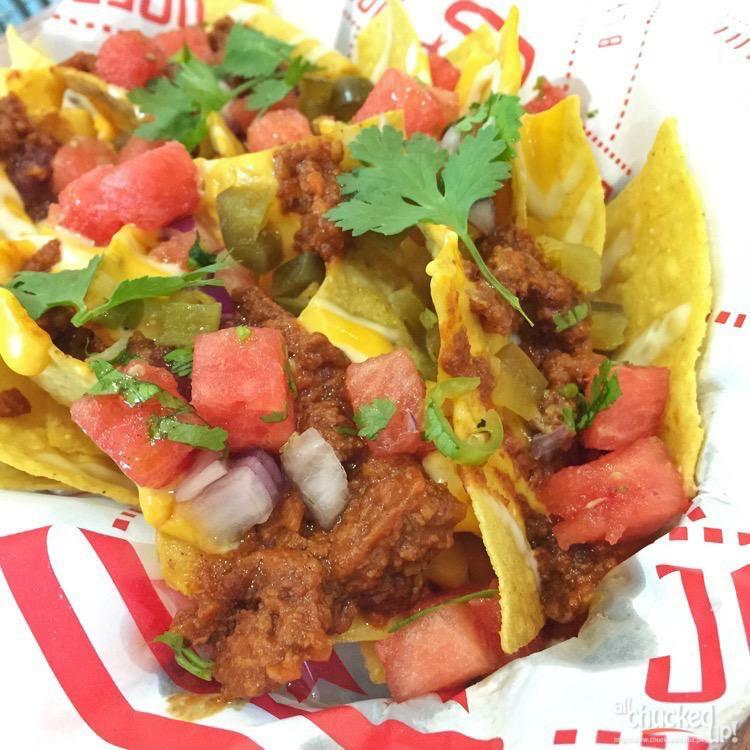 This is unlike other nachos you tried before. It’s got a delightful watermelon salsa that just screams “summer” with every bite. Totally refreshing! 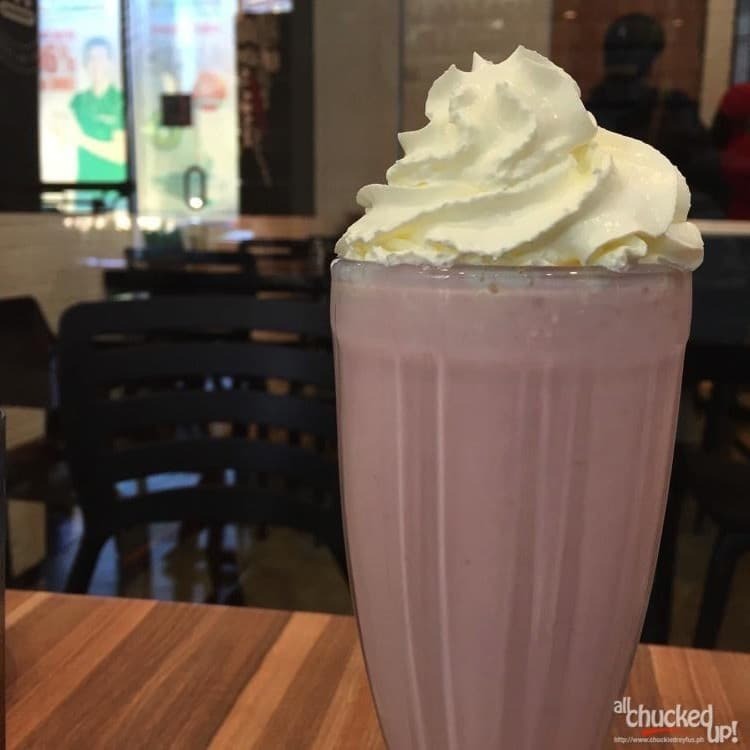 This Strawberry Malt Shake is just one of many delicious refreshments that The Burger Joint at SM Supercenter Pasig offers. Oh… don’t forget to order their iced tea, by the way! It’s one of the best iced teas I’ve tasted in a long time. 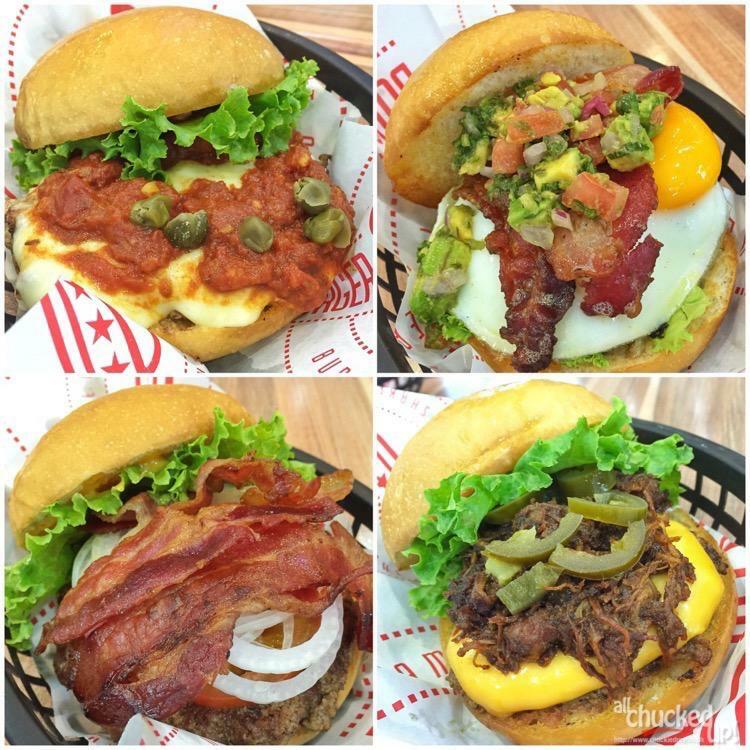 There is just so much to enjoy at The Burger Joint at SM Supercenter Pasig. If you love burgers as much as I do (or even if you don’t), I suggest you drop by this place and experience just how good smashed burgers are compared to the conventionally prepared kind. And with all the outrageous skyrocketing prices of other burger restaurants, it’s really such a joy to find a place like The Burger Joint at SM Supercenter Pasig where affordability doesn’t compromise on quantity and quality. The Burger Joint now accepts select major credit cards.